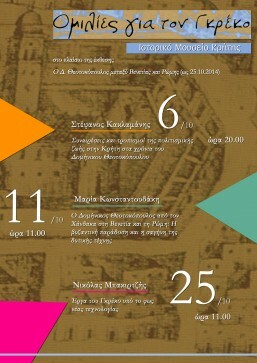 STARC with a strong participation of speakers participated in the 2nd Conference and Medieval Studies, organized by the Byzantinist Society of Cyprus in Nicosia, Cyprus, between the 12th and 14th of January 2018. Important to mention that prof. Vassos Karageorghis was this year’s Honorary Chair and keynote speaker with a very interesting talk “From Polytheism to Christianity”, while Dr. Nikolaos Bakirtzis was the Chair of the conference. 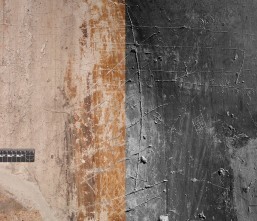 Revealing “The Secrets of a Royal Portrait” | Dioptra. 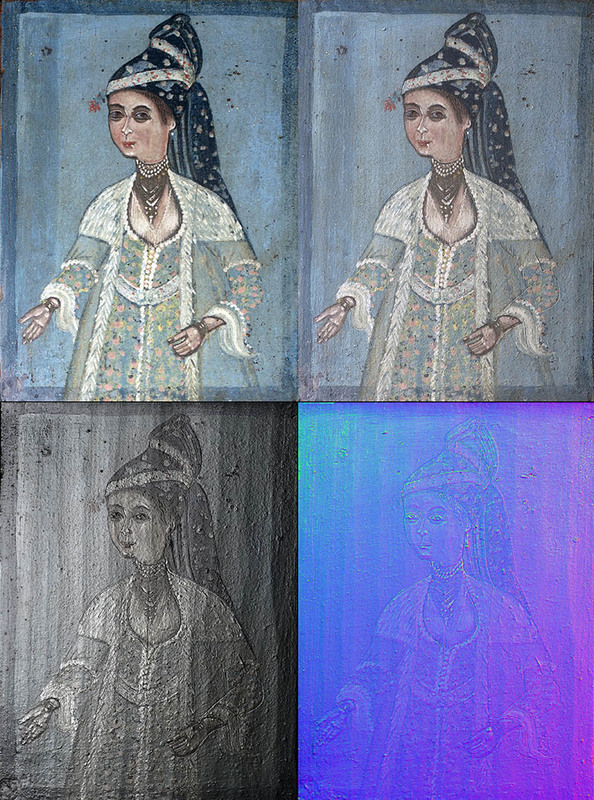 ICACH elaborated multispectral methods using technical photography in order to reveal possible hidden watermarks and to identify the variability and the elemental composition of different inks used by the dragoman Hadjigiorgakis Kornesios at late 19th century Cyprus during the Ottoman rule. 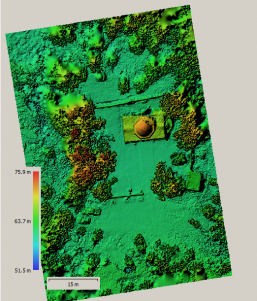 Starlab and ICACH have been using aerial and ground based methods for the topographical survey of an ancient watermill that is located in ktima Paphos in order to aid its architectural preservation. 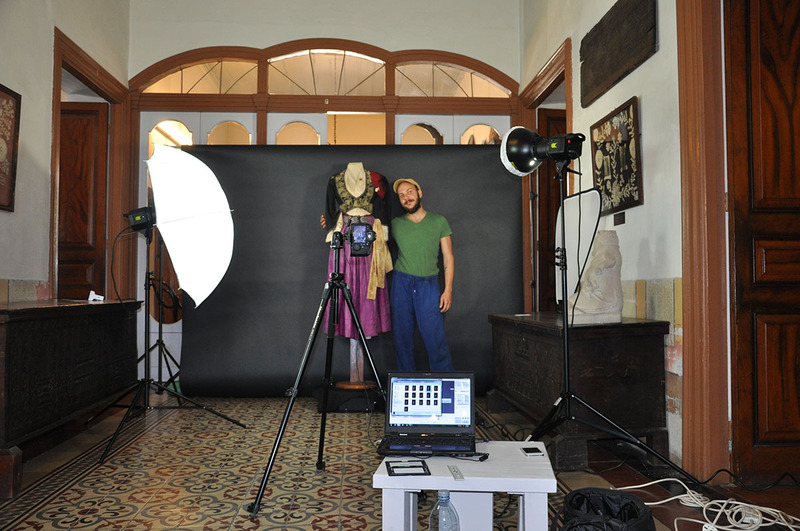 On the 11th of July the Imaging lab has been photographing traditional dresses from the Leventis Museum, a project led by professor Froso Igoumenidou. Our new poster on a holistic technological approach for the digitisation of archaeological sites and monuments. 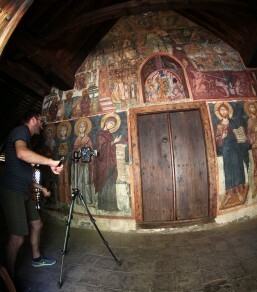 During July of 2017 a joint team from the University of Southern California (USC), The Cyprus Institute (CyI) with the participation of the University of Illinois (UIUC) applied a range of imaging techniques to document the unique interiors of the Troodos Painted Churches, included in the UNESCO World Heritage list. 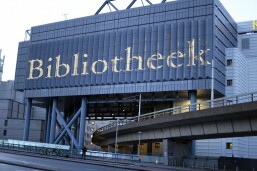 is featured in the 37th edition of Code4lib open-access journal for digital libraries. Our article featured at the IDEALIS, a global network featuring nominated scholarly open access communication research. 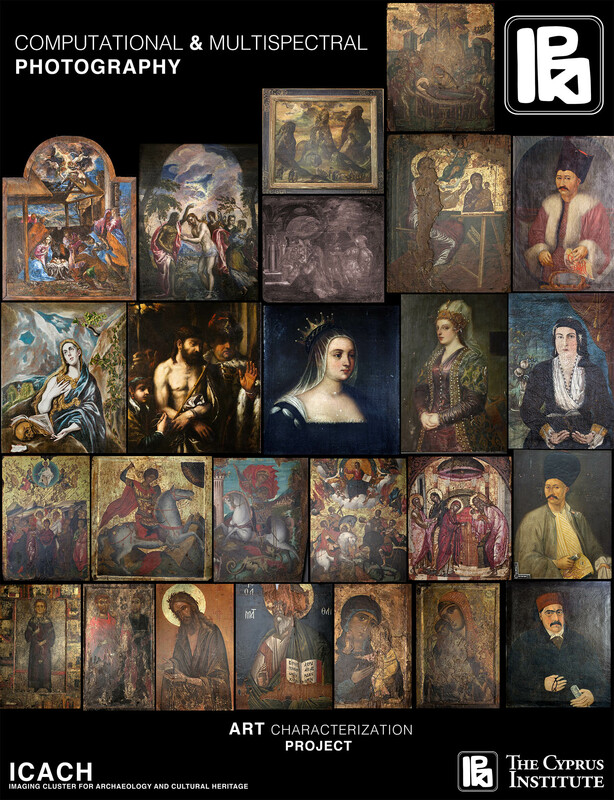 Medici 2: A Scalable Content Management System for Cultural Heritage Datasets – The Idealis. 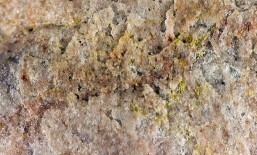 ICACH as part of the STARLAB project applied innovative imaging techniques on selected finds such as an alabaster vessel and cuneiforms from Pyla-kokkinokremos for the analytical documentation and analysis of inscriptions and texture colourants. You may find more about it at the permalink here. 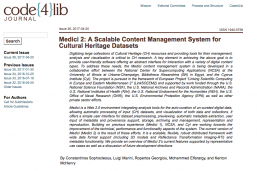 Our recent publication on 36th edition Code4lib open journal ”Medici 2: A Scalable Content Management System for Cultural Heritage Datasets“, a collaboration of The Cyprus Institute, the National Center for Supercomputing (NCSA) in illinois Chicago and Bibliotheca Alexandrina. 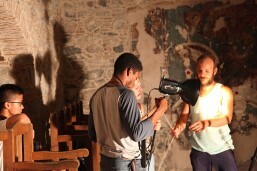 The cathedral church of Saint John the Theologian in the heart of Nicosia is the subject of a cross-disciplinary research project engaging students and researchers from STARC, the Historical Muse-um of Crete and the University of Catania in Italy with the collaboration of the Theological School of the Church of Cyprus and the support of the Department of Antiquities and the Cyprus Arch-bishopric. Building on and enhancing the doctoral research of CyI PhD Candidate Despina Papa-charalambous supervised by Assoc. 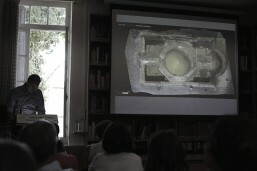 Professor Nikolas Bakirtzis, this research project aims at under-standing the history of the monument in conjunction with the iconography of its impressive 18th century decorative program. 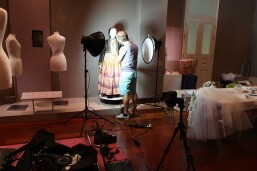 During the month of April, ICACH / STARC / The Cyprus Institute has been called to digitise Cypriot folk dresses currently exhibited at the Folk Museum of Limassol. 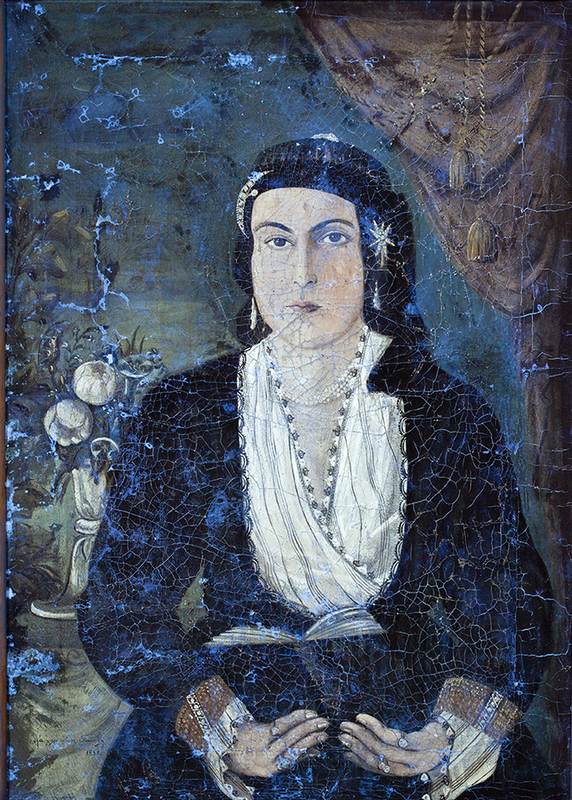 The project is part of the History and Culture of Cypriot Dress project led by professor Rizopoulou Egoumenidou and is part of the Dioptra Digital library that host and supports a technological framework for the dissemination of various themes in Cultural Heritage. View an example at ICACH guest repository, click here. Κυπριακά Μεσαιωνικά Νομίσματα της Συλλογής του Πολιτιστικού Ιδρύματος – Cultural Foundation. 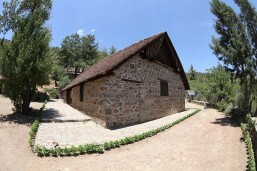 ICACH has been invited to conduct an imaging project at the Hadjigeorgakis Kornesios Mansion coordinated by Prof. Rizopoulou Egoumenidou. 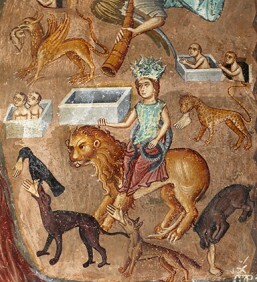 a wallpainting situated in the apse in order to reveal the technique used by the artist and aid in historical research analysis. 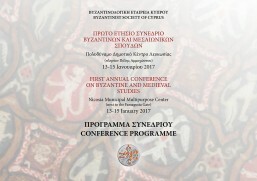 First Conference on Byzantine and Medieval Studies 2017 | Dioptra. CyI Board of Trustees member Prof. Ioli Kalavrezou is offering the conference’s keynote speaker. Prof. Euphrosyne Rizopoulou-Egoumenidou is presenting a paper. Nikolas Bakirtzis is Chair of the Scientific and Organizing Committee and is also presenting. 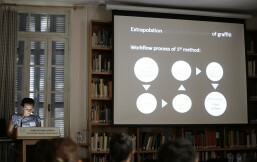 Svetlana Gasanova, Christina Roditou, Despina Papacharalambous and Polina Christophi are also presenting papers while Sorin Hermon, Dante Abate, Marina Faka, Valentina Vassalo, Avgoustinos Avgousti, Ropertos Georgiou, Andriana Nikolaidou are participating with poster presentations. 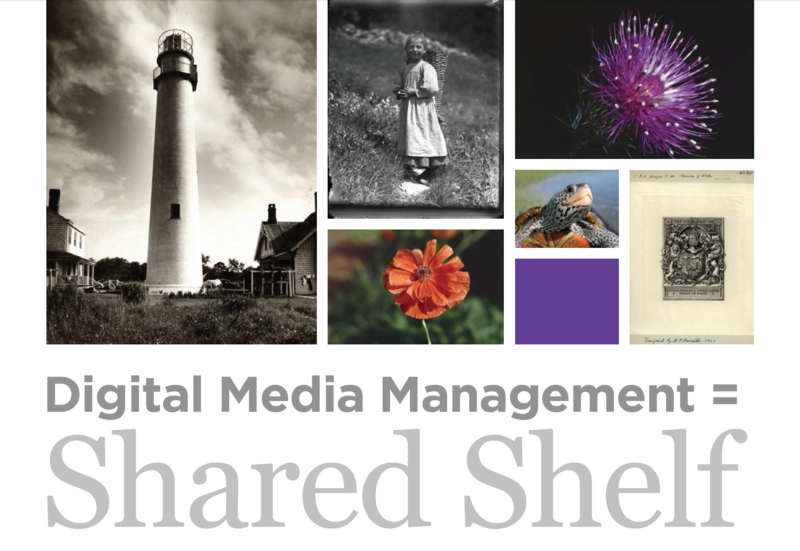 Visual Resources Association | The International Association Of Image Media Professionals. 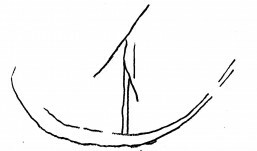 “ΚΑRAVΟΙ (Κάραβοι): Methodology, Interpretation and Typology of Maritime Graffiti in the Mediterranean”. 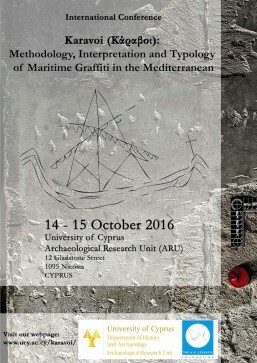 The conference will be held in the Archaeological Research Unit, University of Cyprus on Saturday and Sunday (15-16 October 2016).The conference marks the conclusion of a collaborative project led by Stella Demesticha of the Archaeological Unit of the University of Cyprus and the support of the Department of Antiquities focused on the documentation and study of maritime graffiti on the late medieval churches of Cyprus. 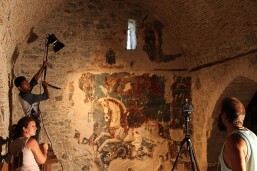 STARC was a key partner providing the systematic application of various imaging and 3D technologies contributing a novel methodology in the study of this understudied historical source. 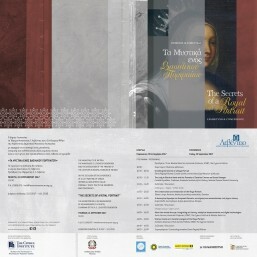 Aspects of our work will be presented in the conference. 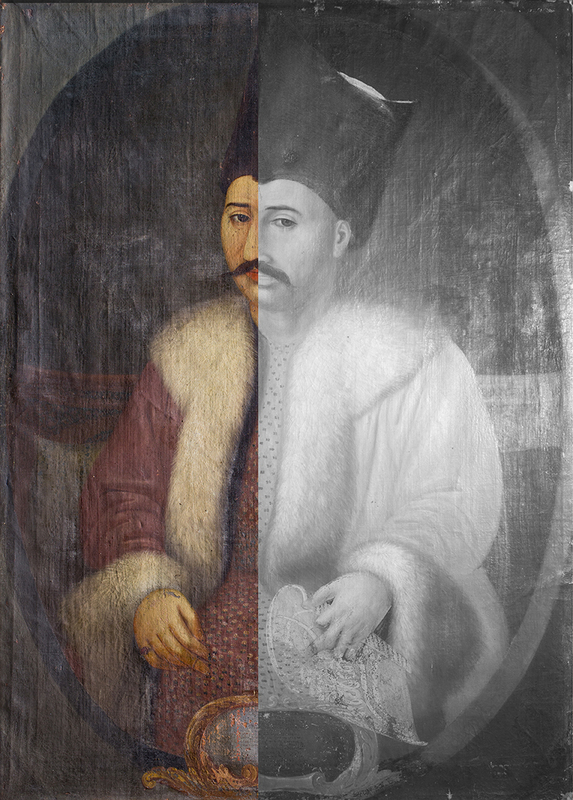 OpenNumisma: A Software Platform For Managing Digital Heritage Numismatic Collections With a Particular Focus on Reflectance Transformation Imaging. 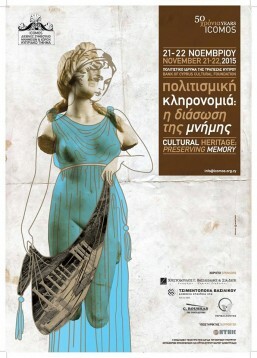 The proposed poster presents digital heritage research related to OpenNumisma; an open source web-based platform focused on digital heritage numismatic collections. 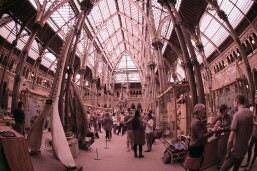 The project provides an innovative merge of digital imaging and data management systems that offer great new opportunities for research and the dissemination of knowledge. 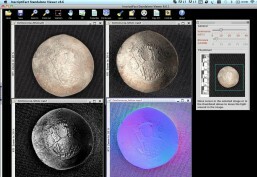 A key feature of this platform is the application of Reflectance Transformation Imaging (RTI), a computational photographic method that offers tremendous image analysis possibilities for numismatic research. OpenNumisma data can produce Linked Data; the RDF produces a SPARQL endpoint using PHP,ARC2 libraries and is based on CIDOC-CRM Conceptual Reference Model ontology of exchange heterogeneous cultural heritage information. via Colloquium: Alexandria of Egypt: a glimpse to the Eternal Cosmopolis of the ancient world, based on archaeological evidence. 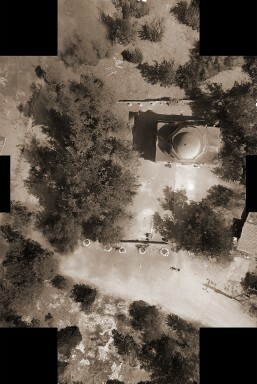 – The Cyprus Institute. 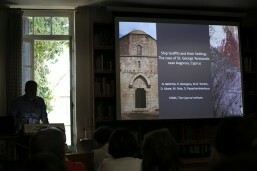 Ancient Cypriot Literature Digital Corpus (ACLDC) Attracts Global Interest – The Cyprus Institute. 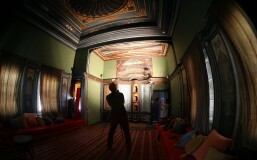 The Cyprus Institute participates in the Mediterranea Young Artists Biennale in Milano – The Cyprus Institute. 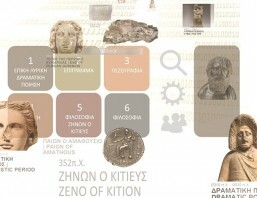 Kyprios Character, History Archaeology and Numismatics of Ancient Cyprus. 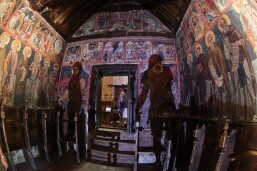 Colloquium: New Light on Early Works of El Greco – The Cyprus Institute. 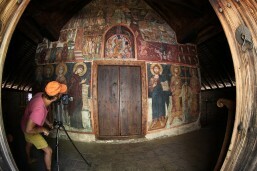 The development of high-resolution digital imaging and visualization techniques for the documentation of archaeologi-cal material and works of art over the past decade has significantly contributed to a flourishing surge of novel applica-tions and research in archaeology, cultural heritage and education. 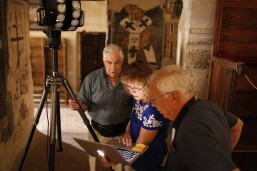 Training for the Cyprus Institute | Cultural Heritage Science Open Source. 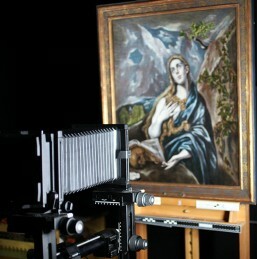 ICACH was invited to apply RTI photography on two celebrated paintings from the early career of Cretan artist Domenikos Theotokopoulos (1541-1614), known as El Greco during his illustrious career in Spain along with various post-Byzantine masters of Cretan art (Georgios Klontzas, Michael Damaskinos and Aggelos Apopnakos). Με την ομιλία Έργα του Γκρέκο υπό το φως νέας τεχνολογίας του Νικόλα Μπακιρτζή, αναπληρωτή Καθηγητή Επιστήμης και Τεχνολογίας στο Κέντρο Αρχαιολογικής Έρευνας στο Ινστιτούτο Κύπρου, ολοκληρώνονται το Σάββατο 25 Οκτωβρίου 2014, ώρα 11.00 στο αμφιθέατρο Γιάννη Περτσελάκη οι παράλληλες εκδηλώσεις του Ιστορικού Μουσείου Κρήτης στο πλαίσιο της περιοδικής έκθεσης Ο Δ. Θεοτοκόπουλος μεταξύ Βενετίας και Ρώμης (21.6.2014-25.10.2014). 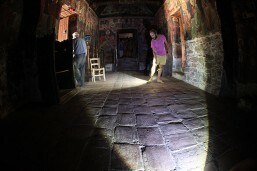 The experience of historic urban environments remains an ideal context to probe questions of urban identity. The Eastern Mediterranean preserves significant examples of cities whose continuous history can be traced all the way back to Prehistory. 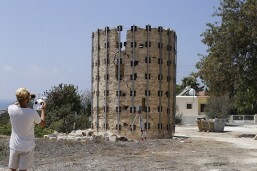 In particular, the capital of Cyprus is considered amongst the most contested urban environments having historically layered pasts and perplexing present-day realities . This paper proposes a methodology for the cross-disciplinary study of complex urban realities, with the use of advanced technological applications for the formulation of real-time virtual environments that create spatial data of user behaviour in and around monuments of cultural heritage. Παρουσιάζεται η Ψηφιακή Αρχαία Κυπριακή Γραμματεία.